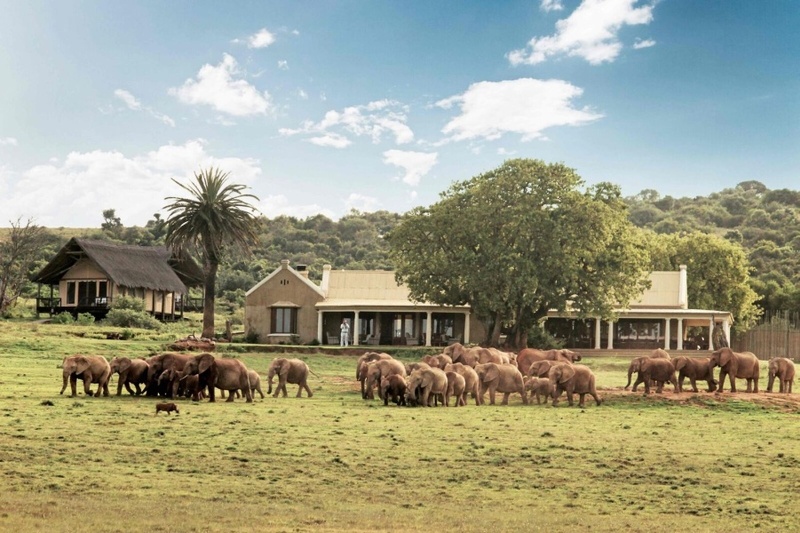 Gorah Elephant Camp is a romantic 5 star safari outpost in the heart of Addo Elephant National Park in Eastern Cape, providing an exclusive safari in a spectacular wilderness famed for close-range viewing of elephants. The Gorah experience is a lavish celebration of the classic safari of bygone times, the splendid manor house offering opulent leisure in ‘Out of Africa’ style, with the extravagances of crystal, gleaming silver, white linen and G&Ts. Gorgeous tented suites are private cocoons of comfort on a vast Addo landscape. Gorah is the only private concession in Addo Elephant National Park – home to the densest population of elephants on earth, as well as the Big 5. The park is free of malaria. There's currently no specials at Gorah Elephant Camp. Gorah Elephant camp provides a breathtaking environment for small, exclusive business meetings.